@alcedine and I were talking about how favorites work on micro.blog (it really should have been a podcast episode!) and we were throwing around some of the following ideas regarding “likes, favorites, etc” and how they could work on micro.blog that would allow them to be effective communication tools and not fall into the zombie popularity issue that they are on other platforms. What if it worked something like this? Active public participation through text reply. You receive a notification in your “mentions” tab that a specific person has replied to one of your posts with a text response. 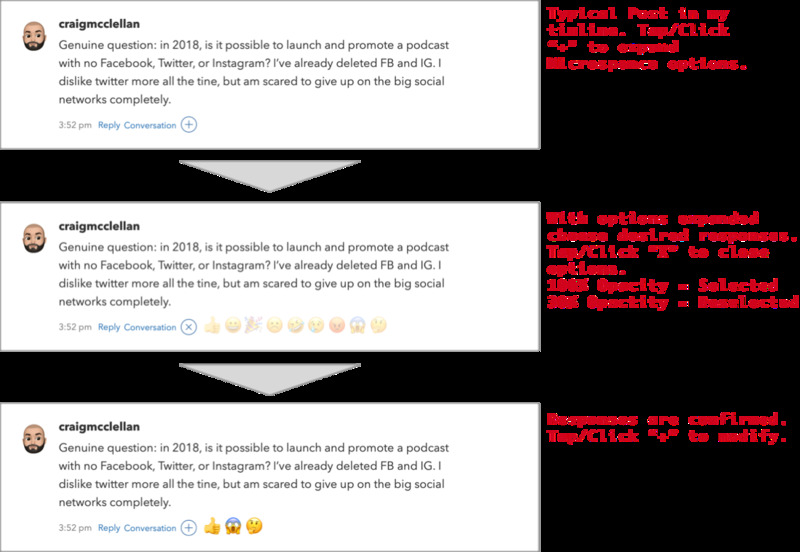 This type of setup allows for rich interactive discussions on micro.blog posts when wanted or necessary, but also allows for positive feedback to users when posting may not specifically require a full-text response. The system allows for a 1-to-1 relationship with the “microsponse” so there are no popularity contests. 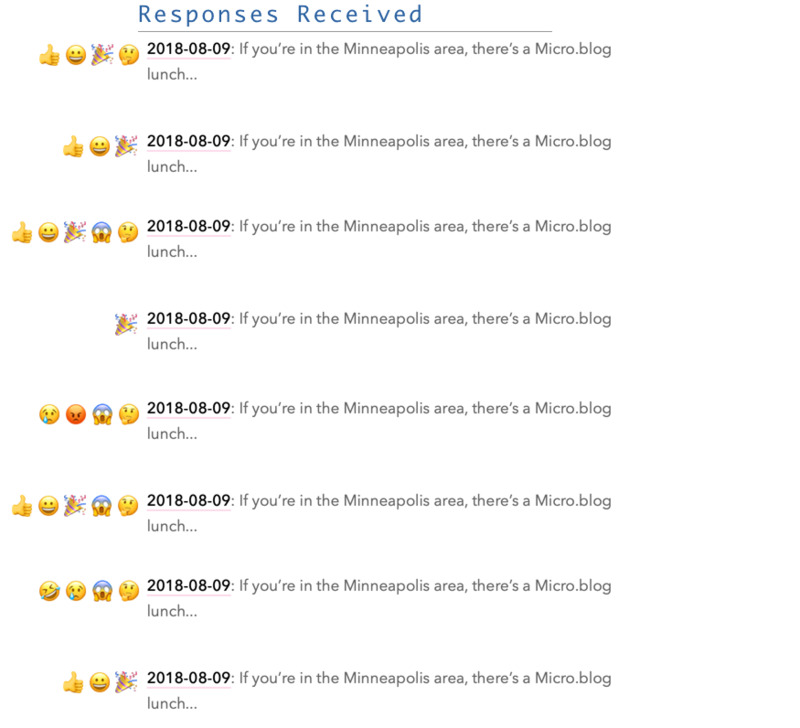 Only the user leaving a “microsponse” knows what they have responded to, and every poster only knows that a post has received a response but doesn’t necessarily know who sent it, or how many each post has (there is no running dashboard). Each user can see the running list of “microsponses” they have received for an arbitrary amount of time, say 10 days. To the casual observer scrolling through their timeline, all posts appear to be void of any responses (except for public text responses of course). For the reader it gives another way to provide feedback to users, and also allows the poster to have another avenue of response to the content they are creating.